counting? 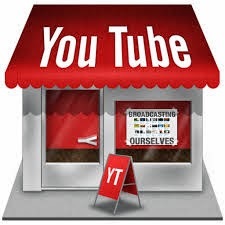 Most importantly, there are an ample amount of searches on YouTube so it's time to ask some questions, get some answers, and consider whether and how to improve our marketing through it. 1. When people are in shopping mode, do they use YouTube? The magic of Google, as the Google advertisements emphasize - "Want to know who wants a new telescope? It's people Googling on 'new telescopes'!" - is that people tend to search on Google when they are shopping. A. Do we think that purchasers who are considering buying Time4Learning might jump onto YouTube to look for reviews? B. Do we think people are more likely to go to YouTube on general questions like, "How to Homeschool?" If they are looking for reviews, we should probably encourage the creation of reviews which compare us with other choices so that as they look for reviews on other choices, they learn about us! C. Do we think YouTube is going to be used by Google as feedback in their ranking of websites in any way in the near future? - When I first go to YouTube, many videos are suggested to me. What algorithm? - After I finish a video, "related videos" are suggested to me. What algorithm? - When I do a search on YouTube, videos are suggested to me. What algorithm? Is general popularity of videos based on links? Embeds? Plays? Completions? Owner popularity? Likes (up and down)? Unlike Google itself which is based traditionally on website links (ie website behavior) and is struggling to integrate human behavior (ie likes, bounce rates, other social clues from LinkedIn, G+, and Twitter back when they had access to the feed), it seems like YouTubes ranking is based primarily on human/social behavior and only slightly, on website indicators such as links and embeds. Is YouTube's understanding of the personal interest of the user based only on their behavior on YouTube or is Google using information from their Google searches, Google Plus, and other sources to understand the interests of users? Or, is i just their behavior on YouTube such as subscriptions, videos watched, videos completed, and videos liked? Categories and topics. How does Google categorize and understand the content of videos? Is it 25% the category picked when the video is uploaded, 50% the title of video, 5% the interest of the author, 5% first 20 words of the descriptions, 5% the people who subscribe to it, 5% the rest of the description, and 5% a scan of the transcription of the content made by Google? Timing: trending and time decay. Twitter really studies and promotes hot trends. Facebook's Edgerank algorithm has time decay as one of the top components in deciding what to put into people's newsfeed. Where does YouTube fit in this? 4. Advertising. What program on YouTube is there comparable to Adwords on Google or Promote Post on Facebook. Is it pay per play (start? finish?) or pay for placement? What are the tools for managing YouTube advertising? Are they integrated with Adsense and DoubleClick Small Business or totally apart? BTW, the YouTube Adwords program is easily researched. 5. Programs. At one show, I met a lady from LA with a YouTube education business card. We corresponded for awhile and I pushed all of our educational materials to her for her attention. Who was she? What was she doing? How can she help or hurt us? How many more programs are there like that we should be part of? Thinking more broadly about video or song marketing, how much money could we be making by having our hugely popular YouTube songs be for sale on Itunes? Is there a comparable spot in the Android world? 6. How to leverage success. We have some kid videos that have lots and lots of videos. I just checked and one of our kid videos has over nine million. But there is no link above the fold in the captions and the one masked advertisement for ourselves that has been placed is not that well done (poor contrast on colors). Does this success or power just belong to that video? to the channel? How do we take advantage of it. BTW, it's tricky since the video is for very young kids and we are both COPPA 2 Compliant and we try to be decent and have common sense. BTW, I went to YouTube and searched on the Wheels on the Bus and found there were two ads at the top of the first page, two video ads at the bottom and 20 Wheels on the Bus Go Round and Round videos on the first page. We weren't there, we were on the second page in the 22nd spot. Even for me and I subscribe to that channel.